Sanders Estate in Auburn. (formerly the Sanders Mansion at Spring Hill Farm) was the venue chosen for the wedding of Erin Forest and Christian Folk who were married in late September. This past summer and fall will be remembered for the remarkably warm and dry days. It was an unprecedented dry spell. 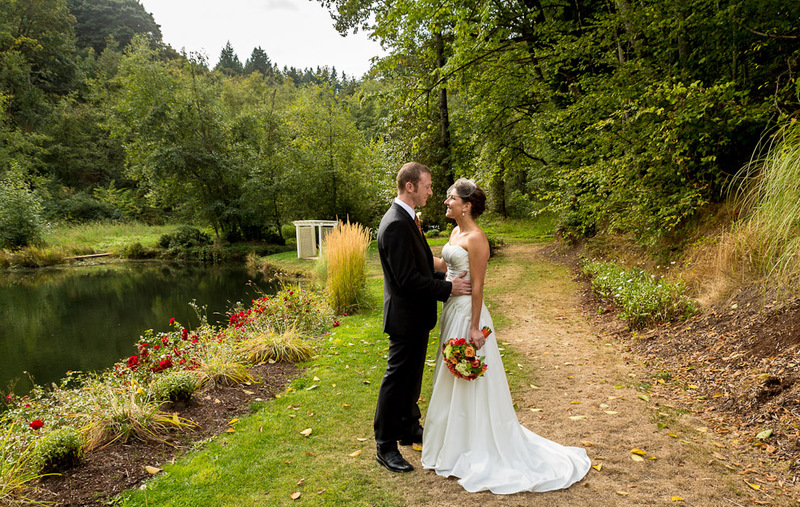 Erin and Christian were blessed with a weather-perfect weekend for an outdoor wedding in the Pacific Northwest and looked like models cast for the part of bride and groom. They looked great in almost every picture I took of them which made it a difficult set of pictures to edit. They were a really fun couple to be around and they and their friends had a wonderful time out on the dance floor later in the evening. The Sanders Estate has some amazing grounds with 35 acres of tranquil gardens surrounding a stunning 100 year old craftsman mansion. The only problem is it would be impossible to include all of the settings in pictures from just one wedding. Here is a link to the web gallery with all of Erin and Christian’s wedding pictures. Here are my favorite highlights from the wedding and below them is a slideshow of a complete set of wedding pictures. Here is a link Sanders Estate Wedding to the wedding pictures previewed right after the wedding in the end of September. This entry was posted on Wednesday, February 27th, 2013 at 11:28 am	and is filed under LOVE, WEDDINGS and tagged with Seattle Wedding Photographers, wedding photographers, Wedding Photography, WEDDINGS. You can follow any responses to this entry through the RSS 2.0 feed.